E+I Engineering’s pre-fabricated switchrooms offer a complete turnkey package where space limitations require a ready made external solution. 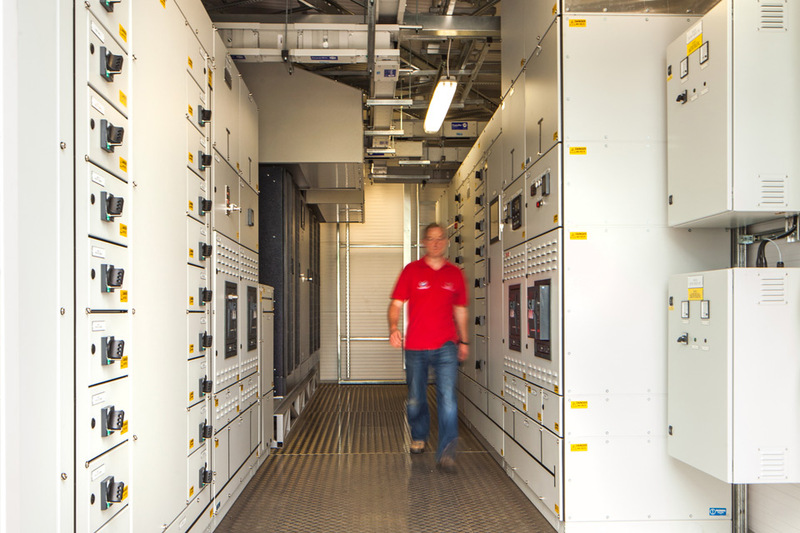 The switchrooms are commissioned in our factories, leading to significant time savings on site. We have completed pre-fabricated switchroom solutions for a range of projects including a roof top data center installation and a roof top GRP enclosure. Each switchroom incorporates all necessary componenets including switchgear, transformers, UPS, lighting, power, heating, fire alarm etc.